BetweenBlocks | Cryptocurrency in 2018 — The Year of MasterNodes? There are many ways to obtain cryptocurrency. Today, you can buy your beloved coins on many exchanges, some of them are even on decentralised P2P platforms. You can use your PC ‘s resources to mine some exotic super-cheap coins with your CPU’s power, use your HDD’s space or even build a mining rig with 19 GPUs. Furthermore, you can invest in an ASIC miner which is customised for mining a specific algorithm. After you purchase or mine your coins you keep them in a hardware wallet like Ledger Nano or Trezor and watch how they appreciate in value or …you let them work for you with the MasterNode. It is never too late to hop on the cryptocurrency train and surely, there are many doors yet to be opened. Dash was the first cryptocurrency that incentivised coin holders with the idea of the MasterNode (MN). The MN operator helps to validate the superfast transactions (InstantPay) and provides the anonymity for the coins on the network. Unlike Bitcoin and many Proof of Work (PoW) blockchain nodes, owners of a Dash MasterNode will receive financial compensation for their services. The superfast transactions take seconds to be validated. It’s not hard to imagine a cryptocurrency adoption by your local merchants with InstanPay in place. 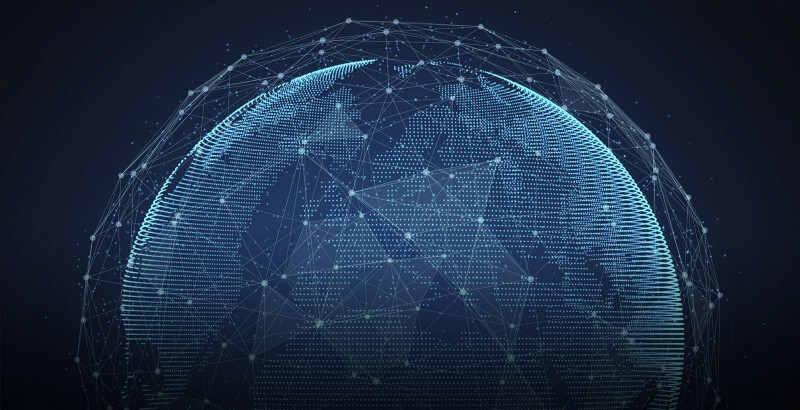 On top of it MasterNodes are a part of the decentralised governance system where each has a right to vote for he projects submitted by the members of the community. In order to run the node you need to lock a number of coins in the wallet and maintain a near perfect uptime. In return you participate in coin production rewards like the miners do. You need a static IP address on the machine at home or virtual server rented online. According to coinmarketcap there are 7,715,221 Dash coins in circulation. Today Dash network consists of more than ~4600 active MasterNodes (Nov 2017) that is equivalent to 4.6 mln coins locked, almost 60% coins stay out of touch! With the increasing demand due to adoption and a significant percentage of coins locked in the wallets, only in 2017, Dash went from 11 USD (0.0116 BTC) to 630 USD (0.0637 BTC) and the sky is the limit! From ~1000 active MasterNodes in December 2014, to ~2500 MN in June 2015, followed by 40% increase 4 months later to ~3300 MN. The ROI on MasterNodes seems slowly decreasing over time due to a number of nodes joining the network, but it is compensated by the continuously rising value of the coin. In POW mining the difficulty is rising but the cost of the miner does not change much. Many can afford to buy a miner. Today the value of one Dash node is equal to ~630K USD! Buy a node today to become a millionaire in a few years time! Mine enough coins to become a MasterNode operator. Rather than mining/buying the coins listed above, consider focusing on coins that have got MasterNodes on their roadmaps but are not activated yet. 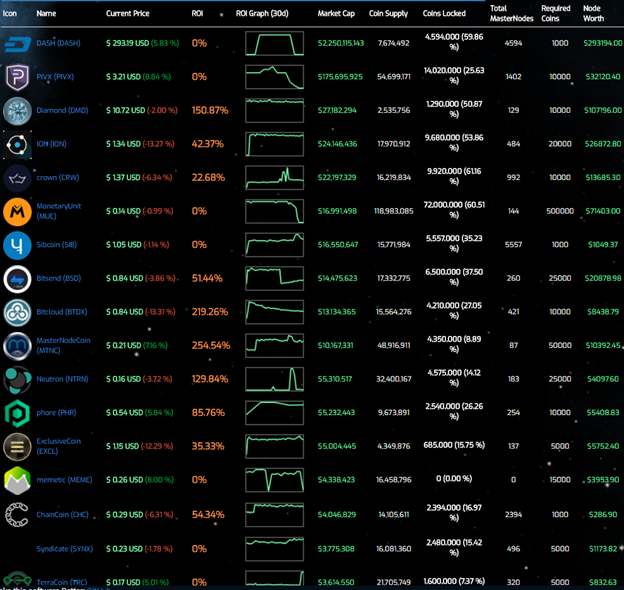 MN take many coins out of exchanges (being locked in the wallets) and that scarcity on the markets pushes the price up. A successful MN implementation means a significant network improvement that allows for fast transactions and advanced community governance. Buy the coins now at low price before the masternodes are activated and potential MN investors start loading their bags. 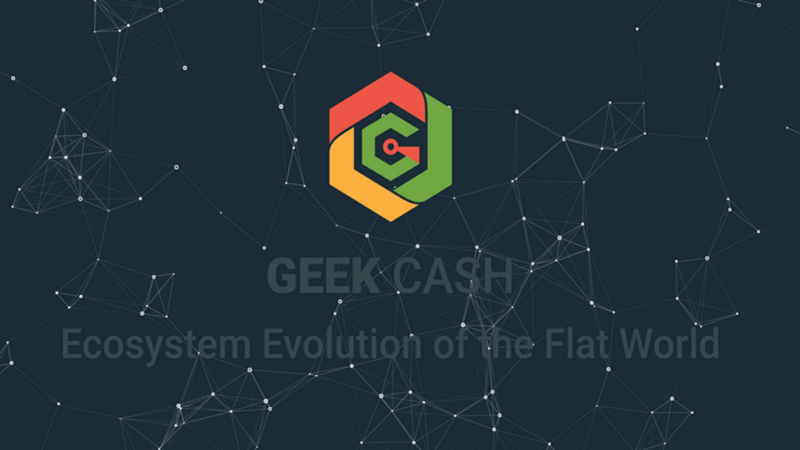 GeekCash] — is a one of most intriguing crypto-social experiments these days. It is a community focused cryptocurrency, with advanced governance and decentralised economy. One of over 10.000 coins that will begin using masternodes (MN) in the future. In recent months Bitcoin Cash and Litecoin supporters have created funds for development since a widely discussed Dash appearance in media started to disturb many members of the crypto-community. Many noticed a correlation between the price and auto-funding hardcoded into blockchain. That famous 10% in Dash still cannot compete with GeekCash 80% reward though, that incentives the community across the Earth to push the development and increase the awareness. Masternodes are required to have 10,000 GEEK collateral, a dedicated IP address, and be able to run 24 hours a day without a more than a 1 hr connection loss. Masternodes get paid start 25% and increased after each block, up to 80% of the block reward on every block, which is distributed to masternodes one at a time. 1. InstantSend (instant transactions). In contrast, Bitcoin takes about 10 minutes to confirm a payment. 2. PrivateSend (anonymous transactions). In contrast, Bitcoin transactions are totally public and traceable. Only the identity of the addresses is anonymous. 3. Decentralised Governance (masternodes govern, while the blockchain funds development). In contrast, Bitcoin is controlled by a few big miners and funded by 3rd party centralised institutions with self interests. 4. Masternodes are also given voting rights on proposals. Each masternode has 1 vote and this vote can be used on budget proposals or important decisions that affect Geek. GeekCash may have too high coin supply to ever reach the price levels of Bitcoin, Ethereum or Dash but GeekCash is focusing more on community based governance and privacy. Rather than mining/buying the coins listed above, consider focusing on coins that have got MasterNodes on their roadmaps but are not activated yet.